The next time you buckle up on an airplane, you may be sitting on a little piece of home. Sabeti Wain Aerospace (SWA) makes seat covers right here in Davie County for Southwest Airlines and many other international airlines as well as numerous airline seat vendors. The company is recognized as an innovator in seat cover design and manufacturing, and pioneered the development of lamination technology. The lamination process enhances styling options, improves overall appearance, and increases durability and comfort. SWA currently employs more than 40 people in Mocksville to design, cut, sew, test, and ship the custom-designed seat covers, and there are plans for expansion over the next two years as the company continues to grow its US market. This expansion will occur through the reconfiguration of the current facility. The company is headquartered in the UK and also has a production facility in Dubai. With a growing international market came the need to service overseas clients more directly and more responsively. To meet this demand, SWA established its new US-based subsidiary in Mocksville in 2013. Unlike the Dubai operation which is run from the UK, it is a standalone operation. All sales activity, customer service, product design and manufacturing are done locally. The Mocksville facility provides a rapid response and faster overall turn round times for customers in the United States, Canada and South America, which together form about 75% of the global seat cover market. It has also allowed the company to dramatically reduce shipping costs, a significant benefit in an industry with tight profit margins. 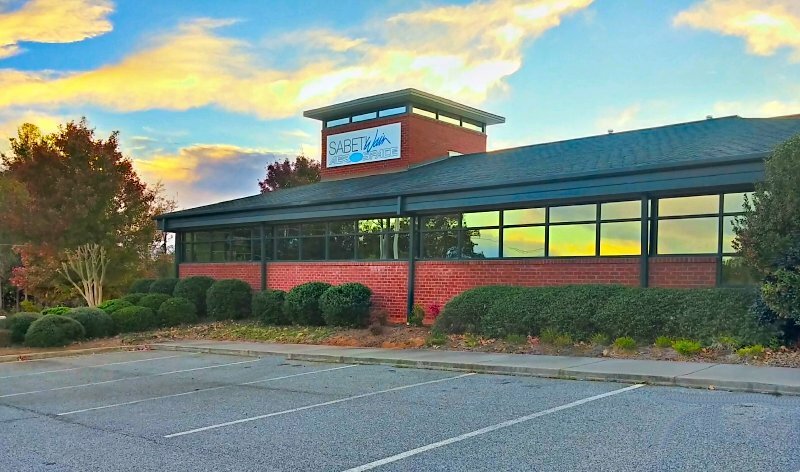 Hoping to capitalize on the thriving aerospace industry that has developed in the Piedmont in recent years, SWA’s executives were looking at locations between Charlotte and Hickory and the Piedmont Triad, including Davie County, for the new subsidiary. While doing the 1-40 shuffle, crossing North Carolina to find the perfect location, a Sabeti Wain representative found his way to downtown Mocksville and to Restaurant 101 for lunch. Returning to his rental car, he noticed drops of oil on the hood. Mr. York at York’s Exxon quickly discovered that the oil filler cap was missing, replaced it free of charge, and the representative went on his way. Still seeking the perfect location, the representative stopped at Restaurant 101 again several weeks later. Noting a sign for the Total Real Estate Company, he decided to learn about the little community that had treated him so well a few weeks earlier. Glen Stanley walked him over to talk with Terry Bralley, president of the Davie County Economic Development Commission. Bralley identified a property at 852 US Hwy 64 W., the former Eagle Heights Church building, and the rest, as they say, is history.